Hi, very enjoyable blog and great macro photos. You asked about the stone at St Ives museum, hope this will enlighten you. Very nice portrait. It is sad he is behind bars in a cage and now out in the wilderness swinging from the trees. A great photo of sadness! ഈ സുപ്രഭാതം എനിക്ക് ഓര്‍ക്കാതെ വയ്യ! Abraham Lincoln ,Ferreira-Pinto,Σταλαγματιά ,പുള്ളി പുലി - We can see the sadness and a totally lost feeling in his eyes.I think it is cruel to keep him in a cage.This animals should be in a safari park, where they can feel their natural habitat. haroon(ഒരു നുറുങ്ങ്) - ഇക്കാ ആ സുന്ദരന്റെ നോട്ടം കണ്ടില്ലേ..? പാവം! You're an amazing photographer. Why can't I add your blog to the present I'm distributing to the great blogs I know? What a beautiful animal. His eyes looks o knowing and sad. An amazingly well taken shot...Congrats...well done...will be back again for these visual delights. Bhavesh Chhatbar - Thank You for the present to my blog. എഴുത്തുകാരി - അതെ അതെ പാവം! Your photos are fantastic. Thanks for visiting my blog. I'll be back. Your photographs are beautiful and moving! Thank you for visiting our blog. 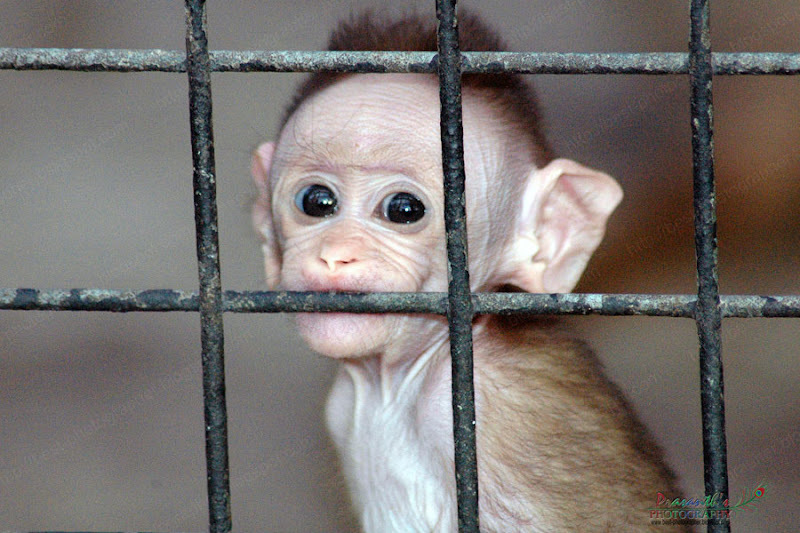 The fear and sadness in those eyes, from behind the bars. So sad.